During its earnings report, Anheuser-Busch InBev reported that its third-quarter profits rose by 31%. According to the company’s report, net profit increased 31 percent to come in at $2.37 billion (1.73 billion euros). This was up from $1.81 billion in the same quarter a year earlier. Revenue reportedly rose 14 percent to come in at $11.6 billion. The rise in revenue was attributed to a takeover, currency effects and growth in the company. 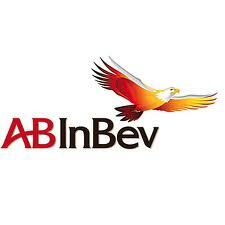 Anheuser-Busch InBev is currently the world’s largest brewer. Global brands distributed by the company include Budweiser, Germany’s Beck’s, Belgium’s Stella Artois, and Brazil’s Brahma. The best performing brands for the company were Budweiser beer, which increased global sales by 8.1 percent, and Corona, which rose 3.7 percent. The rights to sell and market Corona globally were included in AB InBev’s purchase of Modelo. In the near future, the company expects to reap big benefits from Brazil hosting the football World Cup in 2014.